What a perfect way to welcome the spring- FINALLY! 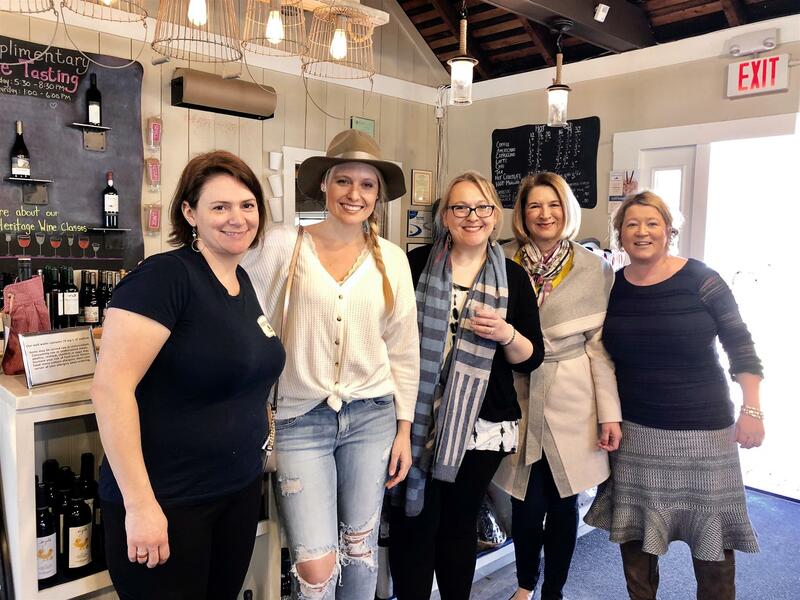 Patty, Maruta, Katelyn and a guest met at the Wine & Provisions Shop in Sherborn to enjoy a complimentary wine tasting. We enjoyed sampling and learning about the unique selections of wines carried and the background of the family vineyards they come from. Following our wine tasting we headed into the pub at the Heritage to have some lunch together. We all left full, happy and with wine cabinets to stock!